There are a lot of things to do in Hilton Head, and there is a little bit of something for everyone! There are over 12 miles of beautiful beaches on Hilton Head Island. The water temperature in the summer ranges from high 70's to mid 80's making it a perfect place to get refreshed and relaxed. With land temperatures ranging anywhere from 80's to 90's and with our humidity, making it feel like it's in the hundreds, our ocean is where everyone wants to be! Click here for a list of our public beach accesses on the island so that you too can get in on this relaxation! Go to the beach! There are several public access beaches on the island including: Bradley Beach and Folly Beach which have metered parking, and Coligny Beach and Burkes Beach which have non-metered parking. Bradley Beach also offers a place for grilling, a playground for the kids, and pavilions to get you out of the scorching sun. You can read more about our beautiful beaches here. Become a mermaid or go on a mermaid boat tour...or both! The Mermaid of Hilton Head® offers the world’s only boat tour where you can go out and see dolphins AND a wild mermaid. Mermaid Nina lives out in the wild and you can go on a quest to go find her and learn how to protect her ocean home. Turn into a Mermaid Experience and Photoshoot is the perfect experience for those of you who want to become mermaids yourself! It is a professional beach photoshoot with a mermazing experience attached! Hilton Head Island has it's own mermaid! Check out the Mermaid of Hilton Head where you can become a mermaid yourself and go on the world's first mermaid boat tours! The kids will love this and they will talk about it for a long time to come! Mermaid boat tours and "Become a Mermaid" photography sessions are a big hit on the island and keep the magic of Hilton Head alive and well! Get family portraits taken on the beach! Visit our sister site at Island Life HH Photography to learn more about how you can preserve your vacation memories for years to come. Hike or bike the island! There are over 60 miles of trails on the island! These trails weave in and out of resorts, marshland, and of course, the beach! You can find a list of all the public access trails here. Jet Ski! Rent a jet ski at Sea Monkeys Watersports and explore our local waters! They also offer kayak, paddle board, and boat rentals if jet skis aren’t your thing. Go alligator spotting! There are several places to see alligators on the island. One of the best ways to see them is to take a short hike around Jarvis Creek Park. It is on the north end of the island, so not as populated as many of the tourist areas and very rich in wildlife. Try out new water sports! From stand up paddle boarding, to personal water crafts, jet skiing, surfing, deep sea fishing, to kayaking, there are plenty of choices for the water lover in you! If you are looking to learn something new, or if you are an old pro and are just looking for a rental, click here to learn more! Go on a dolphin cruise! If you are looking to find some dolphins on your vacation, there are plenty of options. Whether you prefer a big boat, little boat, covered boat, or open boat, we even have private cruise options! Click here for more details. Mini golf! There are several mini golf courses on the island that are great for family fun activities! There are 2 different Legendary Golf courses on the island that offer 2 courses per location. If you're looking to satisfy the pirate inside yourself, Pirate's Island golf course also has 2 courses at a single location offering a surprise around every corner. Last but certainly not least, Adventure Cove offers 2 courses as well and also offers an arcade as an added bonus. Grab a bite to eat! If you're looking for some good pizza, the Mellow Mushroom is a great place to sit outside and enjoy the island vibe. We also recommend DoughBoys for some great local food. If you're looking for a good, local sit down restaurant, Marley's Island Grille has scrumptious food, laid-back environment, and also things to entertain the kids, while the adults relax to live music on the deck. If seafood is what you're craving, Skull Creek Boathouse is the place to go, offering dining by the marina under big oak trees covered in whimsical Spanish moss. Your Hilton Head Island vacation wouldn’t be complete, however, without a visit to Hudson’s seafood! Click here to learn more about our local restaurants! Shopping at Harbour Town. There are several places to shop on the Island, but the atmosphere can't be beat at the marina-side, Harbour Town in Sea Pines Resort. Overlooked by the lighthouse, there are a plethora of places to eat, drink, and shop. You might even want to take a break, plop down on a rocking chair and catch some live tunes. A visit to Harbour Town wouldn't be complete until you climb to the top of the Harbour Town Lighthouse and view the town from above! Go to a wine tasting! The Island Winery offers wine tasting every day from 12:30-5:30 excluding Sundays. They offer many different local flavors and it will be hard to choose just one as your favorite. 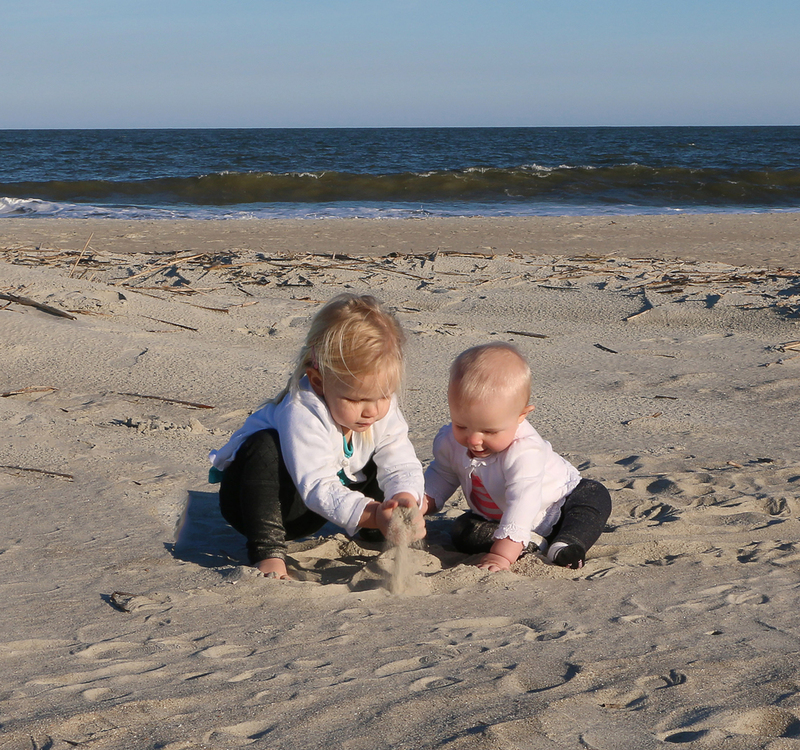 Visit Daufuskie Island! Right across the sound, Daufuskie Island is accessible by boat and is a fun place to explore! You may even see some dolphin faces on your way over. Get a bird's eye view of the island from a helicopter. Hilton Head Helicopter Tours will take you above the island to see it in a way that is unique and exciting. See the fireworks! Every Tuesday night at Shelter Cove Marina, there is a fireworks display above the waters of Hilton Head during the summer months. You can also take a boat tour from other marinas get even closer! Go golfing! Harbour Town Golf Links is one of the best courses on the island although there are over 20 public courses to choose from! Mingle with the macaws! Within Sea Pines Resort, you will also find the Salty Dog Cafe. Not only just a good place for drinks and food, there is also live music, and situated by the water, it becomes a fantastic place to put your feet up and destress. You will also find live macaws just around the corner which are great for pictures! Visit the Coastal Discovery Museum! This art museum teaches you the history of Hilton Head Island through art! They also have art displays from local and well-known artists around the area. If you want to be pampered, a spa day is in order! The Heavenly Spa by Westin is the best place on the island to recharge and escape from your every day stresses. Discover the excitement of zip lining! Zip Line Hilton Head will have you soaring above Broad Creek and the wildlife that thrives in these areas. If you run into bad weather, or just want to cool off for a bit, go see a movie! Park Plaza Cinema provides an old theatre feel and offers a cafe as well as locally made ice cream! Be daring! Although a newer activity to the island, Jet packing is a thrilling adventure to try and can be electrifying and freeing all at once. Click here to learn more.